Participants must view the webinar from start to finish to receive credit. No partial credit will be rewarded. Participants must complete the evaluation form for each webinar to receive credit. A password and link for each evaluation will be provided at the end of the webinar. Individual Activity Announcements will be distributed with further details on each presentation prior to presentation. These activities are structured to meet knowledge- and application-based educational needs. A knowledge-based activity acquires factual knowledge. An application-based activity applies to information learned in the timeframe allotted. Information in knowledge and application-type activities is based on evidence as accepted in the literature by the health care professions. Continuing pharmacy education (CPE) credit will be earned based on participation in individually accredited activities. Attendance and participation are required before obtaining CPE credit. Any individual who is more than 10 minutes late to an activity or leaves an activity early will not be granted CPE credit. This procedure will be strictly enforced, so please plan accordingly. These activities are accredited through ACPE for pharmacist and/or pharmacy technician continuing education credit. Even though MPA may accredit an activity for technicians, it is the technician’s responsibility to determine whether the subject matter is acceptable to the Pharmacy Technician Certification Board (PTCB) for recertification. If all requirements are met, participants will receive pharmacy continuing education credit in the following manner. Partial Credit will not be awarded. Please allow 60 days for processing. 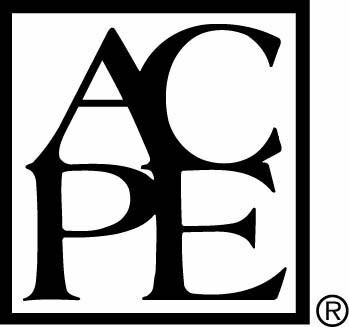 CPE Monitor, a national, collaborative effort by ACPE and the National Association of Boards of Pharmacy (NABP) to provide an electronic system for pharmacists to track their completed CPE credits, went into effect on Jan. 1, 2013. MPA, as an ACPE-accredited provider, is required to report pharmacist and technician CPE credit using this new tracking system. Participants must provide their NABP e-Profile identification number and date of birth (in MMDD format) when they register for a CPE activity or complete activity evaluations. It will be the responsibility of the participant to provide the correct information (i.e., e-Profile identification number and date of birth in MMDD format. IF this information is not provided, NABP and ACPE prohibit MPA from issuing CPE credit. Online access to their inventory of completed credits will allow participants to easily monitor their compliance with CPE requirements and print statements of credit. Therefore, MPA will not provide printed statements of credit to pharmacists and technicians. For additional information on CPE Monitor, including e-Profile set-up, go to www.nabp.net. Missouri Pharmacy Association is accredited by the Accreditation Council for Pharmacy Education as a provider of continuing pharmacy education.